Workshops, school visits, and festivals in: Argentina, Brazil, Colombia, Cuba, Jamaica, Mexico; Kenya, Tanzania, Uganda, Swaziland; Bahrain, Egypt, Kuwait, Oman, Qatar, Saudi Arabia; Austria, Belgium, Germany, Czechoslovakia, France, Hungary, Italy, Luxemburg, Netherlands, Poland, Republic of Georgia, Spain, Switzerland; Brunei, China, Indonesia, Japan, Laos, Malaysia (including Borneo), Philippines, Singapore, Sri Lanka, Taiwan, Thailand; Australia, New Zealand, US and Canada. Ph.D. Folklore, Indiana University; Master of Educational Communications, University of Hawaii; Master of Library Science, University of Washington. Has taught storytelling at the University of Washington Information School and Lesley University. 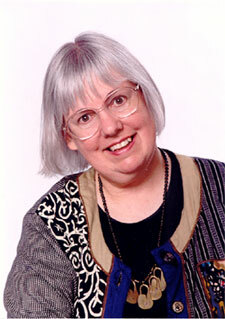 Children's Librarian since 1965: San Francisco Public; Hawaii State Library Bookmobile; Singapore American School; Fairfield Methodist Girl's School, Singapore; Mountain-Valley Library System (Children's Consultant); Montgomery County Maryland; King County Library System (1979-2002). Author of over 60 books and audios on storytelling and folklore topics. Fulbright Scholar to Mahasarakham University Thailand. Talking Leaves Literary Award, established in 2001 by the National Storytelling Network to honor those who "have had a major influence and force in the literary body of storytelling." . Anne Izard Award for Go to Sleep Gecko; Boy from the Dragon Palace, and The Storyteller's Sourcebook. Parenting Magazine Reading Magic Award for Pickin' Peas. Storytelling World Awards for numerous books. Sharjah World Book Fair Award 2010 for How Many Donkeys: An Arabic Counting Tale. Something About the Author, v. 94. Pp142-145. Gale Research, 1998. Contemporary Authors, New Revision Series, v. 56 Gale Research, 1998. Contemporary Authors, v.110 . Gale Research, 1984. Storytellers: A Biographical Directory of 120 English-Speaking Performers Worldwide by Corki Miller and Mary Ellen Snodgrass, McFarland, 1998. View or download a copy of MRM's resume.